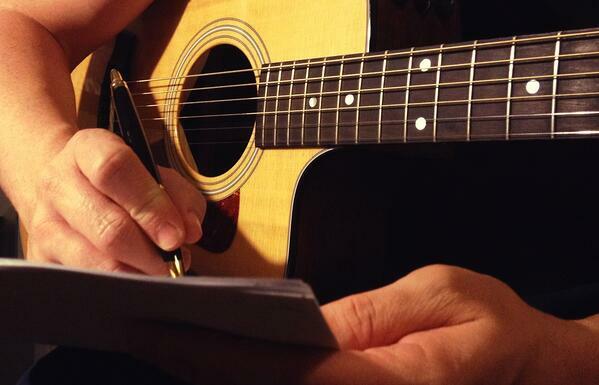 When studying songs and songwriting, there seem to always be common threads to the basic components of successful songs. Like most people, I am measuring a songs success by it's popularity more than any other factor, although it is not the only factor to consider. With that thought being set aside, lets look at the elements that make up songs in the Modern Contemporary Music era (the last fifty years of rock, pop, country and R&B). Please also note that these are not considered to be in any particular order. 1. Melody - The melody is the tune of the song that you sing or play. The best melodies are considered to be "catchy". This typically means that the melody is memorable, which should be the desired effect. 2. Chords (chord progression) - The chords accompany the melody of the song. This can also be, and is typically, part of the rhythm of the song. A chord progression is the order in which the chords are played. 3. Beat and Rhythm - The beat of a song is what "drives" the listener to "feel" the song (fast or slow). It is also referred to as the tempo (speed) of the song. Because music stirs our emotions, we often are drawn to a song because of the beat. The rhythm on the other hand, is the beat that the various instruments (drums, bass, guitar and keys) create. 4. Genre and Style - the genre of a song (rock, pop, country or r&b) is typically established by the beat and rhythm of the song. The style may vary once the song is constructed with the words and/or instruments. The style of the song branches out from the genre, such as, punk rock, alternative, hip hop, blue grass etc. 5. Concept (story) - All songs have a story line or theme. Typically the song title will convey the essence of that story idea and the words (lyric) will expound upon that idea or theme. The story concept and theme is typically stated in the title of the song. 6. "Hook"- Simply stated, the hook is the part of the song that you just can't get out of your head. It sort of "sticks" to your thought process, sometimes, even if you like it or not. All great (if not memorable) songs have great hooks. A song may also have sub hooks that are sections,words, phrases of music that will get inside your brain. The song title can typically be a "singable" hook or phrase as well. 7. Lyrics - What is being "said" in the song comes through the words called the lyrics. The lyric describes the concept, theme and/or title of the song. A lyric will typically rhyme in rhythmic phrases in the sections of music. 8. Song Sections - Songs are divided up into sections and have names, such as, intro, verse, chorus,bridge etc. Typically, the verse describes the concept of the title and hook that are typically in the chorus. Other sections such of music, such as the intro, bridge, lead breaks, etc., will function to support these main components of the song. Sections consist of measures (also called bars) that are typically four beats in length. Although they can be longer or shorter, sections are typically eight measures (bars) in length. 9. Arrangement - The arrangement is actually two-fold. First, the arrangement is the order in which the sections of music are placed, such as, intro-verse-chorus-verse-chorus and so on. Secondly, the organization of the instrumentation, vocals and/or other parts of music that make up the song, are considered to be the arrangement as well. 10. Length - The length of a song is always a consideration, depending on the use of the song. If a song is being written and arranged for radio airplay, songs today are typically three and a half to four minutes long. They can be shorter or longer, but this is the typical length in today's musical formats. It should be stated that you will find successful songs with less (or even more) of the ten elements that are listed here. That doesn't make the song right or wrong, just different. There are always exceptions to every rule,and in music, you will find that to be the case more often than not. In searching songs, I believe you will find most "hit' songwriters will use proven formulas with the elements listed above, in some shape or form. I always remind songwriters and musicians alike, that there are no "have to be's" in music, just "probablies." That's the purpose of using the word "typically" so often. As always, go back and study some of the songs from your favorite genre to see how many of the elements you can detect. I'm sure you will find that the more successful the song, the more song elements that are in the song. This should give you a great overview for your study. Happy Hunting! Steve Cheeks is a Producer, Arranger, Singer, Songwriter and Psalmist. As a teacher, Steve has taught many hundreds of students how to play, perform and compose music with many different instruments. Currently, Steve is on a mission to teach the world to play and sing. He resides in Evans, Ga.